What are custom product options in Magento? Custom options provides an simple way to offer a selection of product variations to your customer. How to create custom options to products? Add a Title to be used as a label for product custom option. 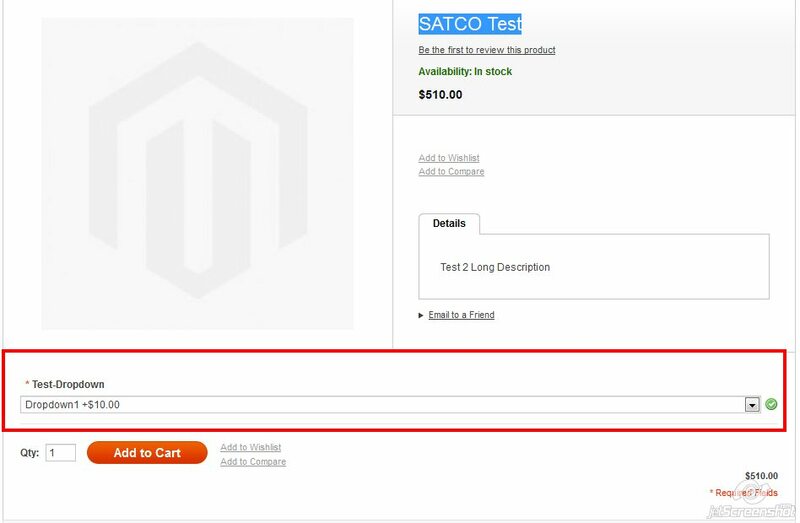 Now, open product SATCO Test under “Apparel” in Magento front-end.